Easter is the celebration of the resurrection of Jesus Christ after His death on the cross. Easter history goes back thousands of years, and it is the oldest Christian holiday. It is also the most important. In fact, the entire liturgical calendar is built around the celebration of Easter. It was on Easter Sunday that Jesus rose from the dead. He prophesized His own arrest and crucifixion and said that on the third day He would come back to life. From this prophecy, we celebrate the connected days of Easter. Jesus’ death is remembered on the Friday before Easter Sunday, called Good Friday. 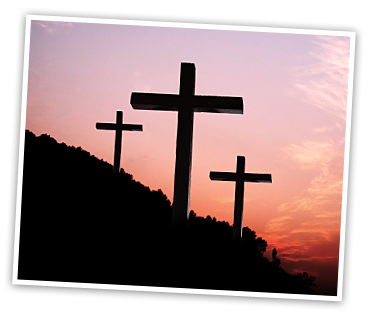 The day between Good Friday and Easter Sunday is known as Holy Saturday. Easter is a moveable feast, and its celebration is not fixed to any civil calendar as many other holidays are. Easter is celebrated on the first Sunday following the first full moon after the spring equinox. This is why Easter can be on a different date each year, and the possible dates range from March 22 — April 25. Send Your Prayer or Petition to the National Shrine of St. Jude. from the National Shrine of St. Jude. Early Christians actually celebrated Easter — and Jesus’ resurrection — every Sunday. This included Scripture readings and psalms among other rites of the celebration, and these traditions became the foundations of the modern weekly Mass. Eventually, the feast changed to a special celebration of the resurrection of Jesus on only one holiday a year. This happened within the first two centuries after Jesus’ crucifixion. Many of the specifics around the feast of Easter were cemented during the First Council of Nicaea, a world-wide conference of bishops in 325 A.D. Prior to the Council, different regions celebrated Easter on different days. The Council helped better organize the Church across many countries so that Easter was celebrated on the same day by everyone. The Easter Vigil — sometimes called the Paschal Vigil — is the first official celebration of Jesus’ resurrection each year. It’s held after sunset on Holy Saturday but before sunrise on Easter day. After sunset the Easter fire is built, and the Paschal candle is blessed as part of the Mass, then set alight. Following the lighting of the candle, it is carried into the church in a procession called the rite of Lucernarium. Next, the water in the baptismal font is blessed, and those to be initiated into the Church by baptism and confirmation are given these sacraments. This is the first time new adults seeking to join the Church receive these sacraments. By the end of the Easter Vigil Mass they have received all the sacraments to become a full member of the Church. This is followed by the prayers of the faithful and the celebration of the Eucharist, which concludes the Mass. Passover and Easter are very separate religious observances, but are closely related through Christianity’s Jewish roots. Passover is the remembrance of when God spared the Israelites in Egypt by “passing over” their homes. The Jews have celebrated this important event in their faith throughout history and continue to today. Jesus and His Apostles were devout Jews and celebrated Passover. In fact, the Last Supper — where Jesus created the sacrament of the Eucharist before His arrest and crucifixion — was a traditional meal for the first day of Passover. Christians don’t celebrate Passover, but because of these connections, early Christians aligned the celebration of Easter to fall after Passover. Passover moves based on a lunar calendar, so Easter inherited that tradition. When the First Council of Nicaea standardized the date for Easter, they separated the Easter cycle from Passover entirely. In some years, Easter comes before Passover. The spiritual focus of Easter is a celebration of Christ’s resurrection and is the culmination of our prayers and reflection during Lent and Holy Week. Our prayer throughout Lent tends to focus inward on how we might strengthen our spiritual lives and heighten our awareness of the blessings we receive. During Holy Week, we are called to meditate on the ultimate test of faith that Jesus and His Apostles experienced through Jesus’ crucifixion. At Easter, we celebrate all that we receive through our life in Christ — from blessings of strength and support for our challenges, to the peace and joy we find from living a life guided by faith. We offer our thanks for all these gifts and pray we will continue to receive these blessings through Christ in the year ahead. We thank God by following the example of Christ’s life and His loving service to others. Alleluia! We rejoice in your Resurrection, Lord Jesus. Today at Easter we sing your praise for the life and hope you have lovingly given us through your death and Resurrection. Help us to reflect the meaning of this most profound love in our daily lives. Amen.